C3 Communications can’t keep father time from taking your hair, but we can help make sure he doesn’t take your stuff. No need to worry about unwanted guest in your facility with C3’s intruder detection, business alarm systems, and technology. Be notified when something is moving around and use our surveillance service to look at what is going on. C3 can provide some of the most advanced and efficient intrusion detection systems and business alarm systems in today’s technologically advanced market. A system that you can rely on to assist in your mission to keep your people, property, and equipment secure. We work with some of the industry’s best monitoring services to ensure a fast response and to reduce false alarm triggers. We can also add a “duress” keypad code and duress/hostage button on our systems. Located in the Atlanta area, C3 Communications is a small business that is managed by its owners. We pride ourselves on gaining a relationship with our business partners and our clients. This personal touch we as a company provide gives our clients extra “peace of mind”, as they know, we have a good relationship with our product vendors. Our genuine culture and industry-leading expertise provide a higher level of safety backed by strong customer service and technical support. C3 can provide maintenance services that will allow you more time to run your company while we can make sure your system is up to date and working correctly. It frees up your IT staff, it can be done remotely (most of the time), and a creates a predictable easily budgeted investment. C3 can provide leading wireless communication services to provide a wireless business alarm system. More traditional services us an external phone line to reach monitoring stations, we offer solutions that are communicated over secure cellular networks for faster and a more secure connection. A cloud set-up for your convenience can create a customized open/close activity report for your facility. These customizable reports can be big targeted or organization-wide. Great for if you want to track the access of a handful of employees. With the use of your smartphone, computer or tablet you can connect to your intruder detection system from anywhere with internet access. This ability can be greatly necessary if you have several locations you are trying to keep secure and monitored. 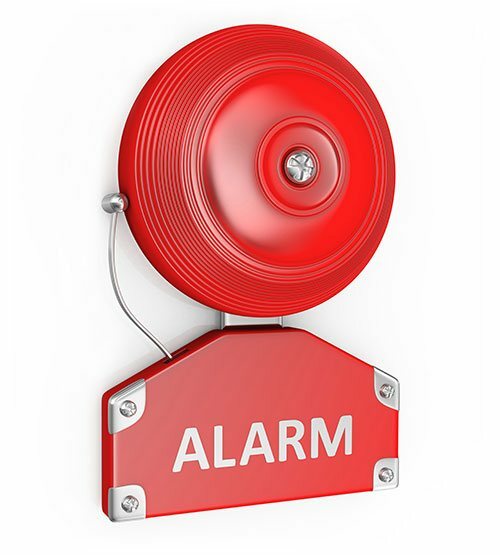 This system can be coded to send alerts and notifications directly to your mobile device.